Being able to speak a foreign language opens many doorswhen travelling abroad. Even being able to speak just a few words in a foreign language – phrases like hello, please and thank you – will generally give you a much more welcoming reception among the locals. One of the most popular languages to learn is Spanish. That’s not surprising, given that some of the world’s most popular travel destinations are Spanish-speaking countries. The Spanish language is spoken in countries such as Spain, Mexico, Costa Rica, the Dominican Republic, Cuba, Chile, Peru, and Argentina – somewhere between 400 and 500 million people in 20 different countries have Spanish as their native language. So learning Spanish is not only a wonderful hobby, it can also be useful career move, particularly in the United States, where an increasing number of Spanish-speakers have settled and represent a major economic force. But how and where to learn Spanish? Among the best ways of learning Spanish is at a Spanish school in a Spanish-speaking country. That means you will be completely immersed in the language, from the day-to-day interaction with the locals to the programming on TV and radio as well as shopping in local supermarkets – you will be forced to communicate in your new language. There is no faster way of learning a foreign language than beingfully immersed in it without being able to resort back to English. Most Spanish language schools offer 4 hours of standard instruction a day, with the option of extra lessons or private tutoring in the afternoon. Instruction usually takes place in small groups with a lot of attention from the instructor. Students are divided into different groups based on their level of existing language knowledge. Spanish language students have various accommodation options, from staying with local families (great for language immersion outside of class), to shared student apartments to nearby hotels and bed and breakfasts. A homestay with a local family is usually a particularly cost-effective option as meals are often included. The audience at Spanish schools can be quite diverse: young university students, business professionals and retirees from places like Europe, North America and Asia can be found at these language schools. My own Spanish study experience includes two weeks at the University of Havana in Cuba, and three different Spanish schools in Cuernavaca and Guadalajara, Mexico. The mix of people at the schools is fascinating and the atmosphere I have experienced is always friendly and welcoming. Studying at a language school, in my opinion, is one of the absolute best ways to travel. Language schools organize a variety of excursions, local activities and tours which help you safely explore your destination and learn about its history, food and culture. The camaraderie among the Spanish language students is usually excellent, and you will probably find one or more people to go out with every day. 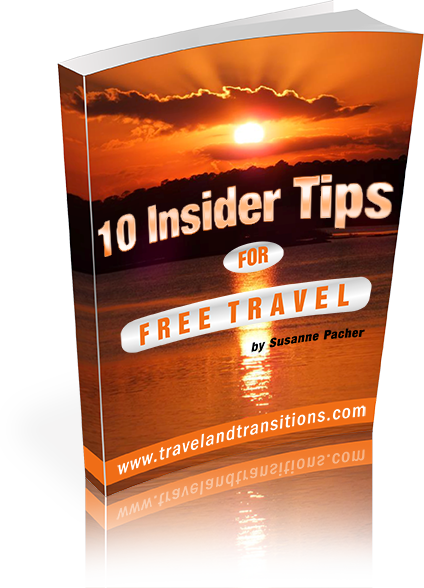 It’s a great way to travel for solo travelers and a particularly safe way to travel for women. Please visit our website for more travel advice and interesting travel articles and adventures . Check out the article series from my 2010 language study trip in Mexico. Read about my 2006 language learning adventures in Mexico City and Cuernavaca. Here are my 2005 language study experiences in Havana, Cuba. Feel free to contact us if you ever have a need for Spanish translations. Thank you for your comment. Learning the language of a foreign destination is always extremely helpful, even for shorter-term stays. Cultures open up so much more easily when one is able to communicate with the locals in their language, even if one only knows a few phrases. And for a longer-term stay, knowing the language is definitely advisable. Do you have any experience with studying abroad?